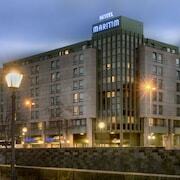 Where to find Nuremberg hotels near an airport? How can I find hotels in different Nuremberg neighborhoods? Where can I find hotels in Nuremberg that are near tourist attractions? If you're taking a vacation in the Franconia area and you want to book a place to stay in Nuremberg, you have a wonderful array to choose from. You'll find 79 short- and long-stay options within a 0.1-kilometre (0.06-mile) radius of Nuremberg's downtown in our comprehensive accommodation section. 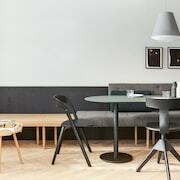 One of the ingredients to trouble-free vacationing is finding a hotel that's close to the action, so check out the latest offers at the Hotel Deutscher Kaiser and Le Méridien Grand Hotel Nürnberg, which are located a short distance of Nuremberg's heart. 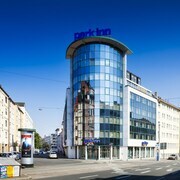 The Sheraton Carlton Hotel Nuernberg and the Hotel am Josephsplatz are both within walking distance of the Frauenkirche, while the Maritim Hotel Nuernberg and NH Collection Nürnberg City are situated near the Nuremberg Castle. The Nuremberg Zoo, another well-known Nuremberg attraction, is close to the Hilton Nuremberg and also the Park Hotel. 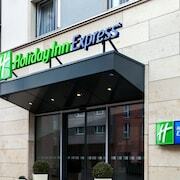 Accommodations that are close to the St. Lorenz Church include the Holiday Inn Nürnberg City Centre and the Hotel Burgschmiet. Budget-concious travelers will be pleased to find that there is a nice range of cheaper accommodations in the vicinity of Nuremberg. The Hotel Elch is 0.6 kilometres (0.4 miles) from the main part of Nuremberg, while the Hotel Cristal is 2 kilometres (1 mile) away. 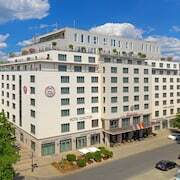 The Hotel Agneshof Nürnberg and the Lorenz Hotel Zentral are two more lower-cost places that you could consider. 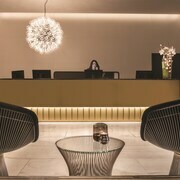 You could investigate the Apartment Hotel Kral and also the Zeitwohnhaus Suite Hotel & Serviced Apartments. The Apartment Hotel Kral can be found 17 kilometres (10 miles) away from the main part of Nuremberg. 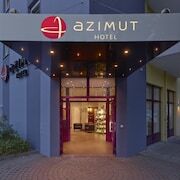 The Zeitwohnhaus Suite Hotel & Serviced Apartments, is 17 kilometres (10 miles) away. Another option is to make a reservation at the Congress Hotel Mercure Nürnberg an der Messe or the Movenpick Hotel Nuernberg Airport. Bamberg is 50 kilometres (32 miles) to the north of Nuremberg and is home to the Bamberg Cathedral and Old Palace. 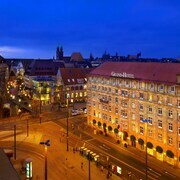 Bamberg hotels and accommodations include the Welcome Hotel Residenzschloss Bamberg and Tandem. 50 kilometres (32 miles) to the north of Nuremberg, you may also choose to stay at Old Town, home to the Hotel National and Der Krug. The Historical Museum Bamberg and Diocesan Museum are just a couple of the more popular places to check out when visiting Old Town. If you are flying into or out of Nuremberg Airport and are looking to stay nearby try Hotel Avenue or Woehrdersee Hotel Mercure Nuernberg City. What are the most popular Nuremberg hotels? Are there hotels in other cities near Nuremberg? What other types of accommodations are available in Nuremberg? Explore Nuremberg with Expedia.ca’s Travel Guides to find the best flights, cars, holiday packages and more!